Microsoft is rolling out the first firmware updates to the new Microsoft Surface to improve the overall system stability. Microsoft has just started shipping its new Surface Go in a few days ago. 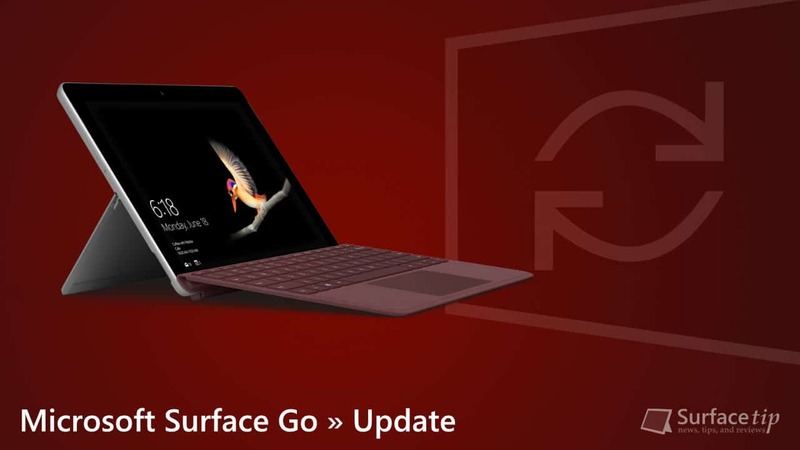 Now, the company has released its first firmware update which will update the Surface Go UEFI component. The new firmware update will improve the overall Surface Go system stability. The update should be listed as “August 2 release” on the Surface Go Update History page when it available. Below is the new firmware version with improvement information for the update. Surface UEFI – Firmware 1.0.3 improves system stability. If your Surface Go hasn’t yet installed the update, it should be displayed in the Windows Update now. We appreciate hearing your thoughts, questions, and ideas about “Microsoft Surface Go gets its first firmware update on the first shipping date”. Please post respectful comments and on topic. We will be replying back to you as soon as possible. Share your idea about "Microsoft Surface Go gets its first firmware update on the first shipping date".